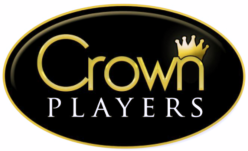 The Crown Players are looking to bring this classic British comedy to the stage. The BBC series staring Dawn French is set in a small village called Dibley, which is assigned a female vicar following the changes in the Church of England that permitted the ordination of women. This play is planned as our June 2019 production. A reading is being held on Sunday 13 January 2019. To confirm your attendance and for more information including location, please email info@crownplayers.co.uk.